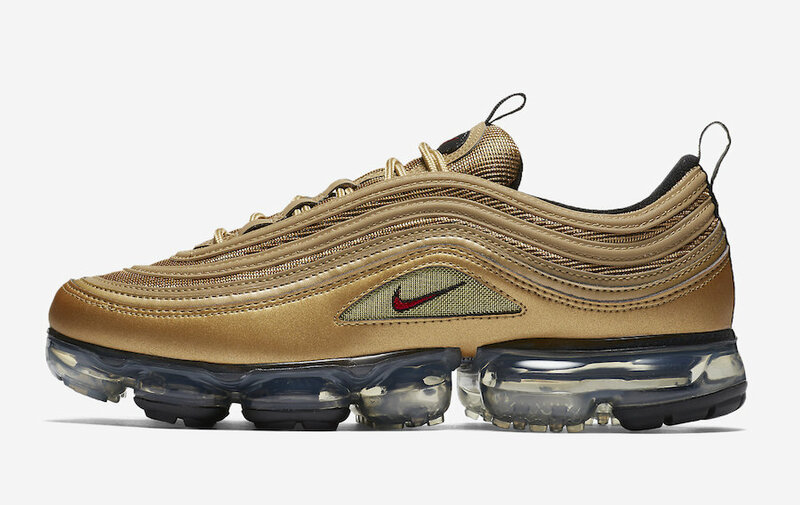 Nike brings back the Air Max 97 OG Metallic Gold for a restock along with the debut of the Hybrid silhouette the Nike Air VaporMax 97 Metallic Gold. 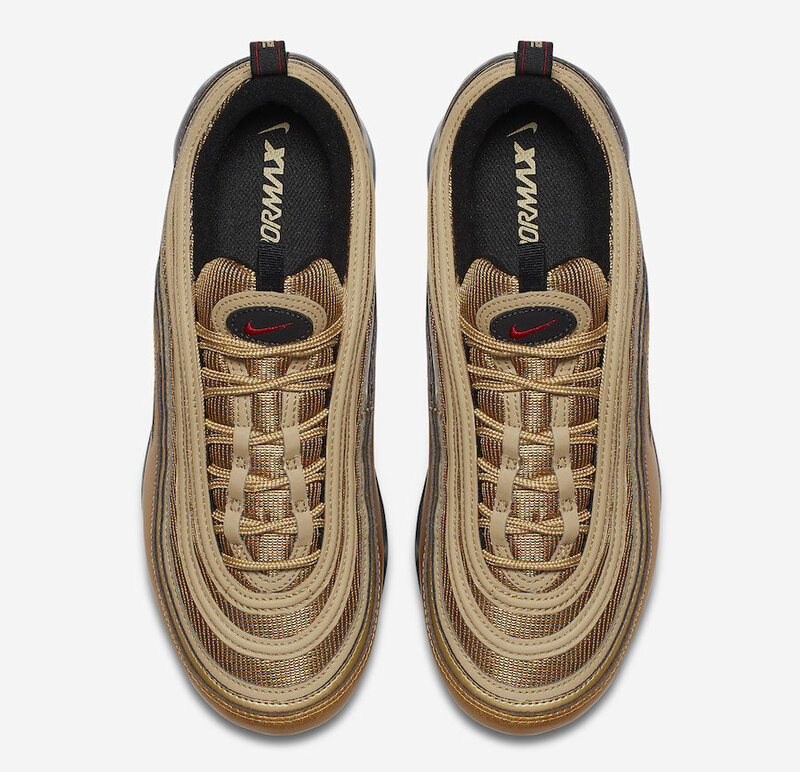 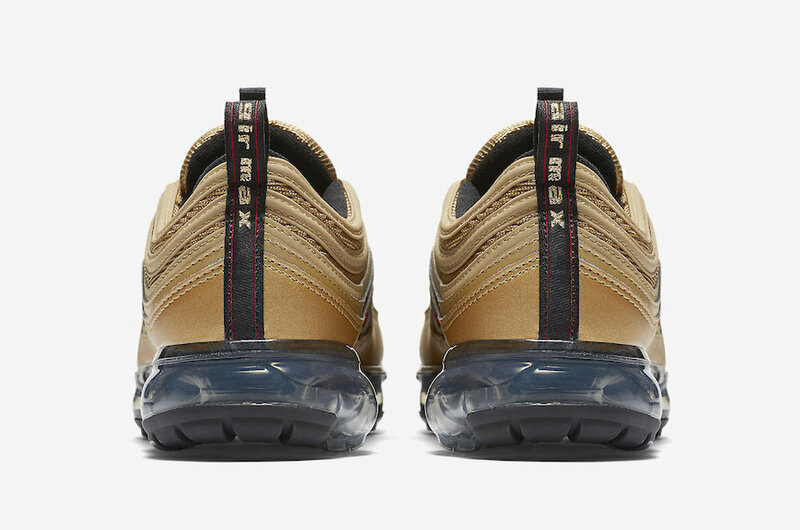 Dressed in the Metallic Gold color way for the Air Max 97 upper, this hybrid silhouette combines both the Air Max 97 and the Air VaporMax with the Vapormax midsole Air Unit as the finishing piece. 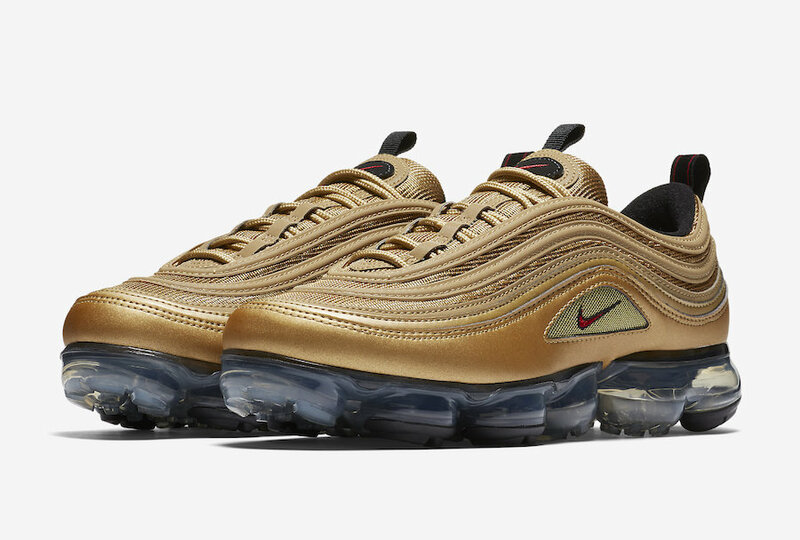 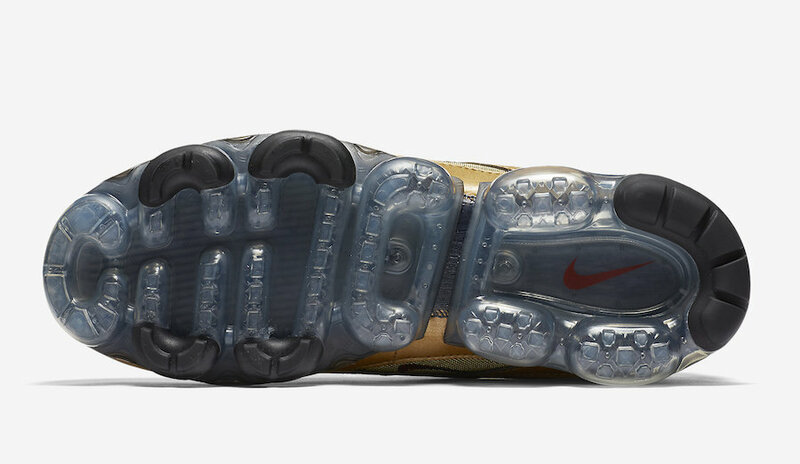 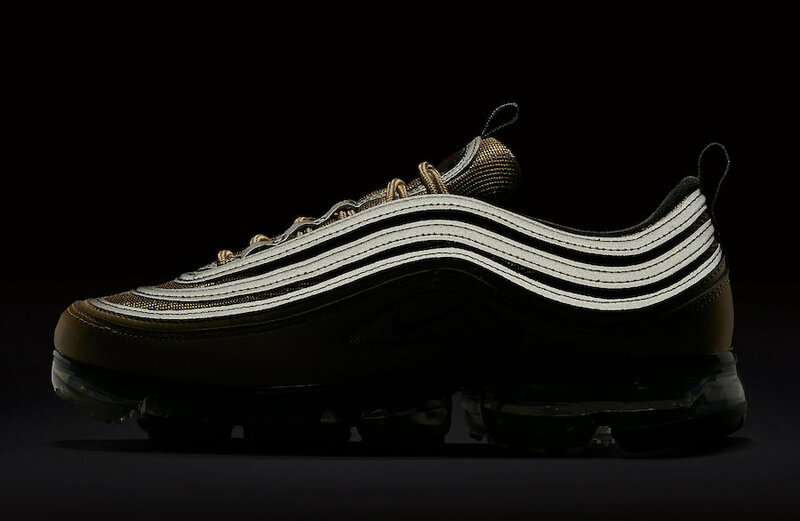 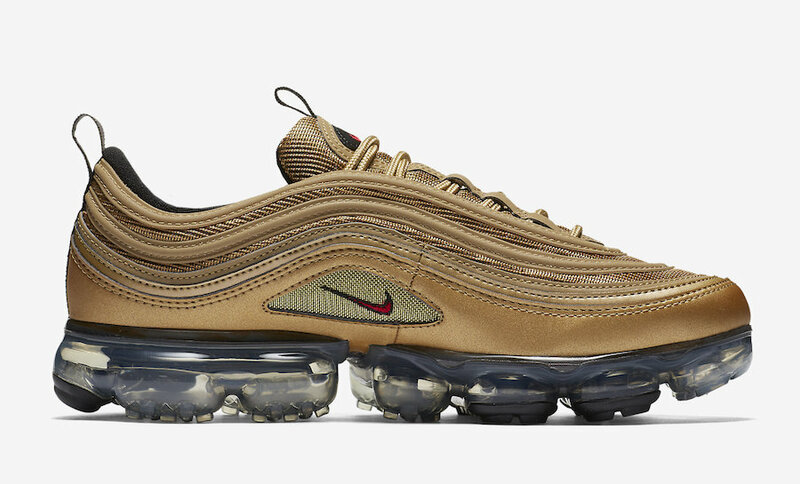 The Nike Air VaporMax 97 “Metallic Gold” is set to release on May 17th at select Nike Sportswear retailers with the retail price tag of $190 USD.